How to create Gigs on Fiverr? How to choose Category on Fiverr? How to Create Gig on Fiverr? How to get orders on Fiverr? By sitting at home earning money is quite interesting right? That point makes me earn online more than one Lakh on Fiverr. In this detailed article, I will show you How to make money on Fiverr? Fiverr is a freelancing platform where people can earn money by providing their expert services to buyers. Fiverr is connecting the buyer and seller at one place. This is one of the biggest freelancing platforms. Fiverr will charge 20% of the seller’s income. In Fiverr language, a service is called as a Gig. We should not violate the Fiverr terms and conditions otherwise they will block your account. Fiverr introduced 5$ market to the world it means any service starts from 5$ only. This is a great opportunity for the buyers to buy their needs and to the sellers to sell their services. So if you have any skill you can sell that service or gig in Fiverr to make money online. There are some freelancers who earn more than their salary every month on Fiverr. If you spend a few hours in a day you can make handsome money on Fiverr. Please don’t expect income from the first day. It will take some time to get first order. 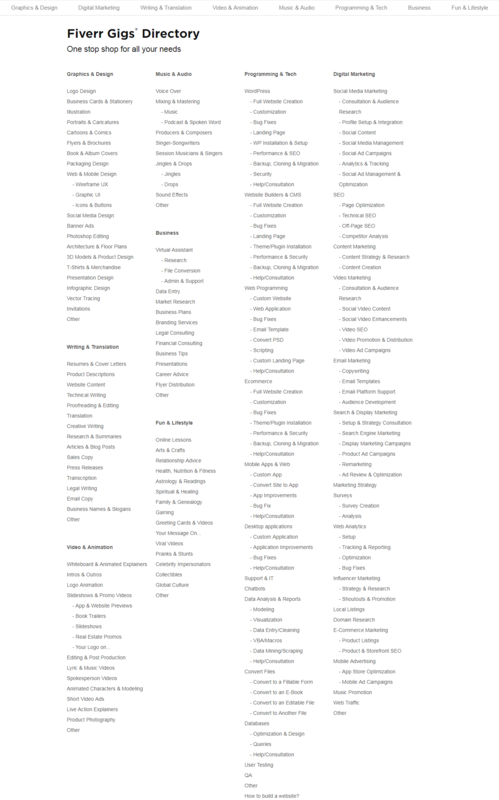 You can choose any one or multiple categories to create your services. While creating your Fiverr profile follow the below Instructions. Provide your original Names not any dummy names. Buyers are more likely t buy who offer services with their own names. In the Description of your profile provide your years of experience, why people buy your services?, What is your USP ( Unique Selling Point)? Upload your original Photo as a profile picture. While choosing your category don’t go with high competition category. Because it will take more time to get the first order. Choose only low or Medium Level Competition Category. For example “Logo Design” is a high competition category. At this time you can choose “3D Logo design”. This is the subpart of the logo design. Compared to logo design 3D logo design has less competition. Create all your services or gigs under 3D Logo Design. As a new seller, you can create up to 7 gigs (services). So create all your services under 3D logo Design Only. Where people are searching for 3D Logo Design some of your gigs may appear in search results so that you can get sales. If you create only one Gig under 3D Logo Design very fewer chances to get orders as a new seller. While you are creating a gig Choose cache Title for your Service. For this do something Competitor Analysis. See how big Competitors selling their services? How they are ranking in the First page, If you want you can buy their service once then start offering the same service to buyers. In the description of service write detailed information about your service. While you are writing description add your targeted keywords in description. Here you can up to write 1200 Characters in Description. So make it very clear. There is another opportunity you can add FAQ’s about your services so add possible faqs about your service. Choose a delivery time of your services as a new seller offer Extra Fast Delivery means you need to complete the order in less than 24 hours. For Gig Image size choose 550 X 370 Px Image. If you don’t know Photoshop you can create this image By using Canva Tool to create awesome images with any Photoshop knowledge. You can also add Video and PDf’s to your gig if you add video to your gig you will get more engagements. If you are not getting any orders 15 to 30 days of creation of your services then ask your relatives and friends to purchase your service and get at least 5 five star rating reviews. For this, you will lose 20% of your income only. Remaining balance you can transfer to your bank account. Or you can join Facebook groups where you can exchange reviews. In Facebook search for Fiverr Review Groups and join, Post your Review Exchange Content on Groups they are many new freelancers like you only both can exchange reviews. So that both will get benefited. After getting few reviews to your gigs you will definitely receive organic sales. Another way to get orders in Fiverr is by sending requests to the buyers you can get orders. Buyers post their requirements in this section you have to send your bid to the buyers. If the buyers satisfied with your bid he will order you. You can send up to 10 requests. 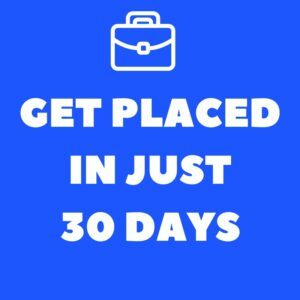 In 30 days you can send up to 300 requests. In 300 Requests you can easily get minimum 5 to 10 orders. How to get more orders on Fiverr? Deliver On time your completed orders. Respond Quickly to the Buyer Messages. Give Free Bonus work to the Buyers. Provide Quality work to the buyers. Download Fiverr Mobile Application and Stay Active on Fiverr. If the client is not satisfied with your work offer refund and don’t get Negative Reviews. It is one the best way to earn money on Fiverr in a legit way. So create a profile now and earn money. If you face any difficulties on Fiverr let me know through comments.